He is more conservative with his neutral colors. He loves long trips, as he glides down the road with his Koni shocks. with some footage from our previous renters. 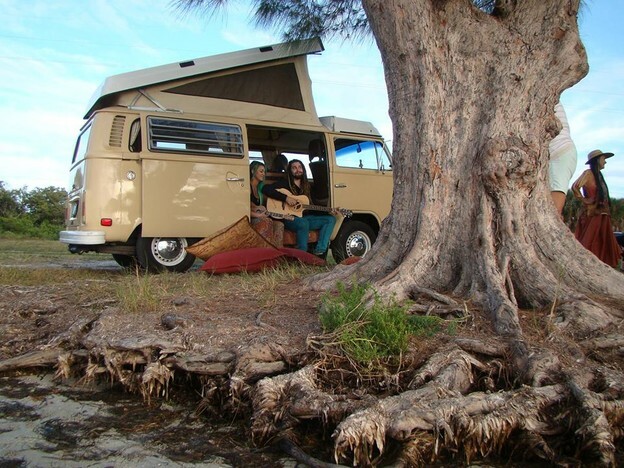 Rumor has it this beautiful 1979 Deluxe Westfalia was originally purchased by a lady named Katherine. She drove him all around the south camping along the way. Karl acquired the bus. I am not sure how long he had it, but it ended up for sale in his front yard in Asheville, North Carolina. Jeff Morris had moved to Johnson City, Tennessee in 1997 from New Mexico and brought his love of campaign with him. 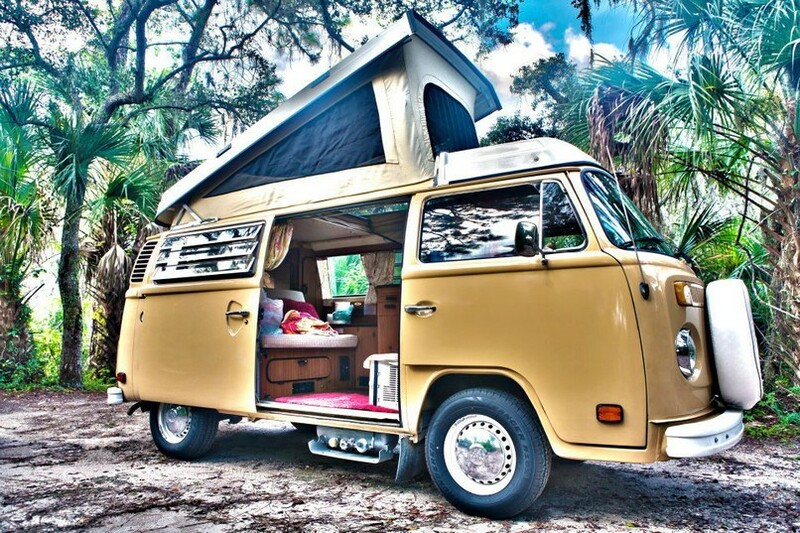 He ended up getting the VW fever from his friends green bus. He started his search and could not find the perfect bus. One of his friends was returning home from a road trip and seen Karl with a for sale sign. The phone number was delivered to Jeff on a torn off piece of paper bag. He immediately called the guy and went for a test drive. Karl was really a character and talked non-stop. Bus Karl went home with Jeff that day, and was the perfect fit for his family. Jeff bought books and worked exclusively on Karl with exceptions of having the heads rebuilt. Thankful Johnson City had an importer shop and Jeff was able to add some nice parts. We are very thankful he left the fuel injections. We both agree that it is a well designed system. Jeff also did a great job when covering Karl to electronic ignition. As many previous bus owners Jeff misses his old bus. 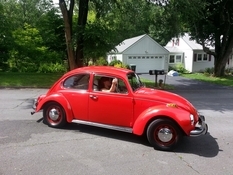 He recently purchased a 71 beetle for his 17 year old son. Working on the beetle has brought back many memories of working on Karl and has provided a way of teaching his son the care of a VW. 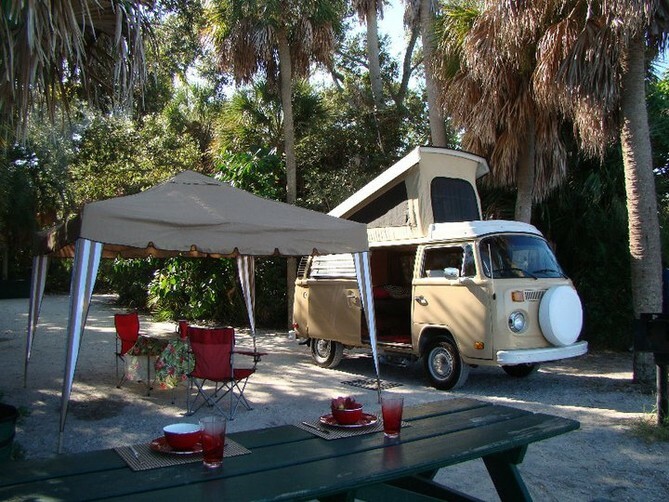 the site set up in your VW Bus Rental with all your items close by. Here is a second view of the kitchen area. The top of the cabinet raises to reveal your sink with onboard water tank and a two burner gas stove. The cabinet also holds cups, plates, silverware, coffee mugs, coffee press, pots and pans, strainer, drying mat, dish towels, food storage containers, spatular, lighter for the stove, pen, deck of cards, wine key, head lamp, table cloth and table cloth holders, dish pan, fan (heater in the winter), salt, spices, cooking oil, foil and sandwich bags. We also leave the top shelve in the center cabinet empty for your food and supplies. 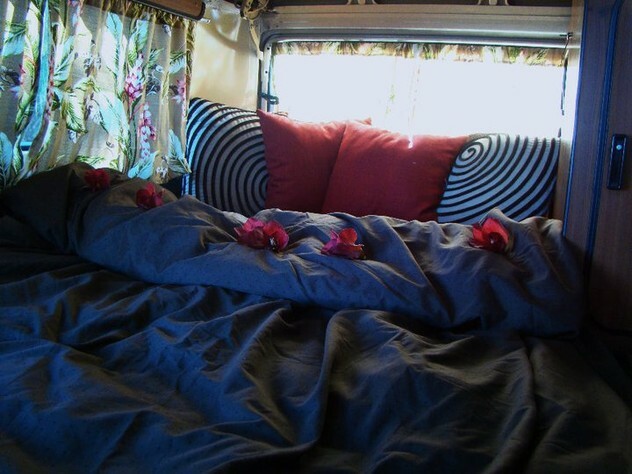 A "Z" bed turns from your couch to a double bed. The Top pops to reveal a second double bed. great view while beach camping!